That sick feeling in your stomach. Are they going to say yes? What if they say no? If they say no, does that mean they don’t like me? Or does it just mean they’re already busy that weekend. Sounds so much like dating, but it’s really just me trying to make other “mom” friends. 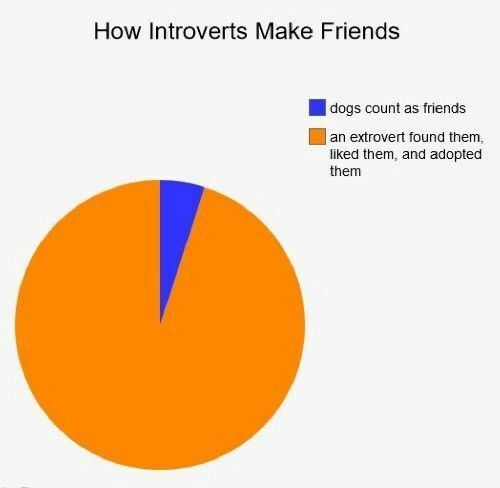 Making friends for an introvert is hard. Making friends as an adult introvert is even harder. Funny thing. I’m not even a dog person. I didn’t grow up where we live now, and lots of people in this area have never lived anywhere else. The rust belt isn’t exactly a hot spot for people to move to, so that means most people around here have known each other since grade school. It also means there aren’t a lot of new people moving into the area. One of the hazards of falling in love with someone from the frozen tundra. My situation is further compounded by the fact that most of our current friends are either childless or their children are older. As in getting ready to graduate from high school older. So, you can see how I’ve become a bit of the odd-man-out. Not because anyone is trying to be mean, but it’s a lot harder for us to do stuff now than it was before having children. Especially having two children. So, I decided the best thing to do was try to make other mom friends. 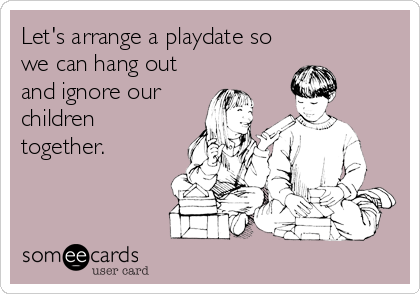 Ideally, we could send the kids off to play and the moms could hang out together. Except, that’s a lot easier than it sounds. 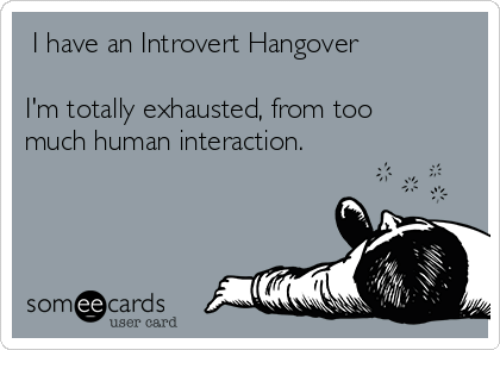 Especially for an introvert. I’m at the beginning of this journey, and it makes me scared and nervous. Still, I joined a Facebook group for working moms in my area. We’ve been trying to meet, but the weather has been awful. Of course, we all want to meet on neutral ground and scope each other out to make sure we’re all okay. Maybe this summer. My daughter was begging me for a play date with one of her friends, so I did ask her friend and her mom over for lunch. They came!! Interestingly, when her mom e-mailed back that they could come over, I was elated. Until we got closer to the actual day, and then I got that sinking feeling all over again. Because this is not my preferred way to spend time. I love hanging out with a few select people that really get me and I get them. But someone I don’t know? *shivers* Still, how do you get to know someone if you don’t go through the awkward stage first? It was a tough stilted conversation at first, mostly talking about our kids as that’s what we had in common. There has to be more to me than kids now, right?!? I hope it’ll get better. Of course, it doesn’t help that interacting with people I don’t know is hard for me. After the three hour play date, I was literally worn out. I had a person I didn’t know, in my home, and I was trying to talk to them. Yeah. Like running a 5K for an introvert. How about you? Ever try to make friends as an adult? How did you do it? What worked, what didn’t? Maybe you have a funny story? This is a fabulous way. Sadly, writing is a pretty solo adventure. Maybe when the kids are older there will be more time for other interests!